I hate my kids playing with shaving foam. It sticks to your clothes, it feels kinda gross. I’m not that keen on the smell of it eaither. But this foam? 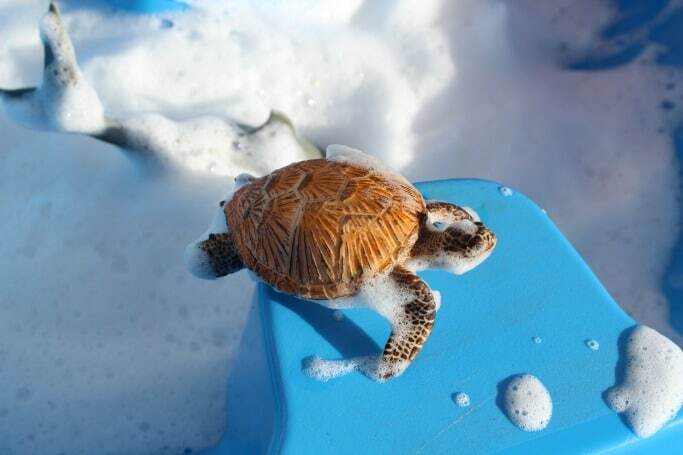 Well, this foam is good! Smells nice, easy to get off you and even better I found everything I needed to make it within about 30 seconds of walking round my house and then making it only took about a minute more. 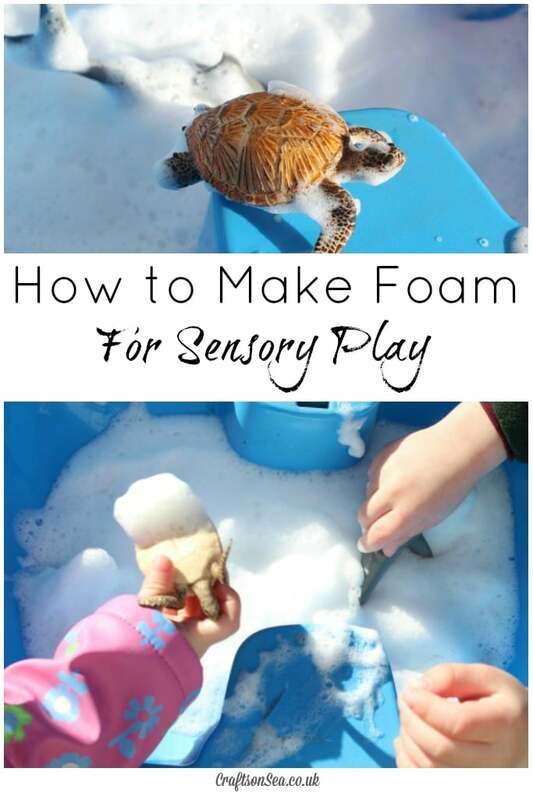 We love sharing sensory play ideas for kids and this foam is perfect for sensory and messy play, plus once you know how to make it it’s great as a fall back plan for those times when you need something to keep the kids occupied for a bit! I put a squeeze of bubble bath and a small amount of water in the bowl and then went to it with the whisk. If you use an electric one it will only take a minute or two to work. You could probably use a normal which but I’m guessing that’s really going to hurt your arm after a bit. Once the foam is ready you can put it into a large bowl or water table and add some toys to play with, we used some of our ocean toys . This would be fun with some vehicles too (these ones look perfect!) , you could pretend they are driving through snow! This was a great activity for us to set up outside, it’s been too cold to play with water recently so this mean that my kids were still able to play with their water table even in the colder weather! 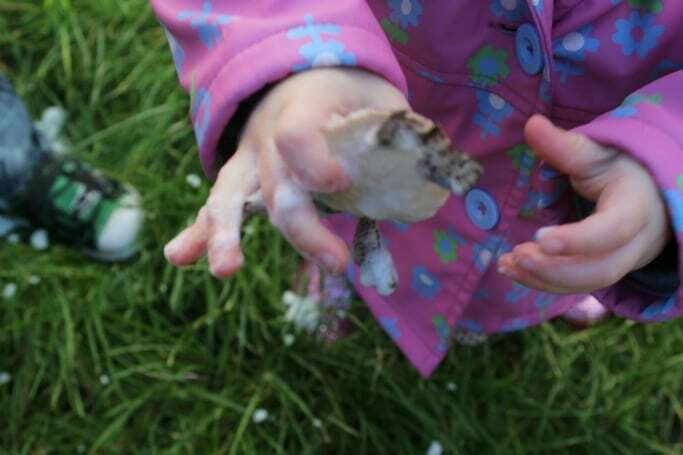 Using bubble bath also means you can be pretty certain that it won’t irritate your kids skin at all. What a fantastic and simple idea! I can think of so many ways that you could use this, we’re definitely going to give it a try!